Should you wish to build an illiberal regime within the EU without fear of the almighty Article 2 of the Treaty of Lisbon, do like Orbán, not like Kaczyński – agree to all manner of dialogues and political debates, initiated by the Brussels clerks, nod in understanding, and then go back home and carry on with your authoritarian activities! This is the message coming from the long-awaited European Commission dealing with Hungary’s illiberal case. After long years of being tolerated under the wing of the largest political power in the EU – the European People’s Party – Viktor Orbán has finally overstepped the quite high threshold of tolerance of the EPP. Ever since he came to power, Viktor Orbán has constantly challenged the Union, built on the values of liberal democracy, but has been getting away with it due to his party belonging to the EPP. The party played deaf-mute when Orbán began restricting media freedom, the independence of the central bank, even when he stated quite directly and openly that he intends to build an illiberal regime following the examples of Russia, Turkey, and China. Viktor Orbán remained untouchable even when the European Commission activated the protection of the rule of law mechanism against Poland, whose government is following Orbán’s textbook and still has a lot to do before it reaches the stage of what was already accomplished in Hungary. Unfortunately, the Law and Justice party of Jarosław Kaczyński, which currently rules in Poland, is part of the Eurosceptic and not too influential family of the European Conservatives and Reformists (ECR). The group was created after the British Conservatives, under the leadership of David Cameron, left the EPP. The EPP reacted at the highest level about the Higher Education Act. 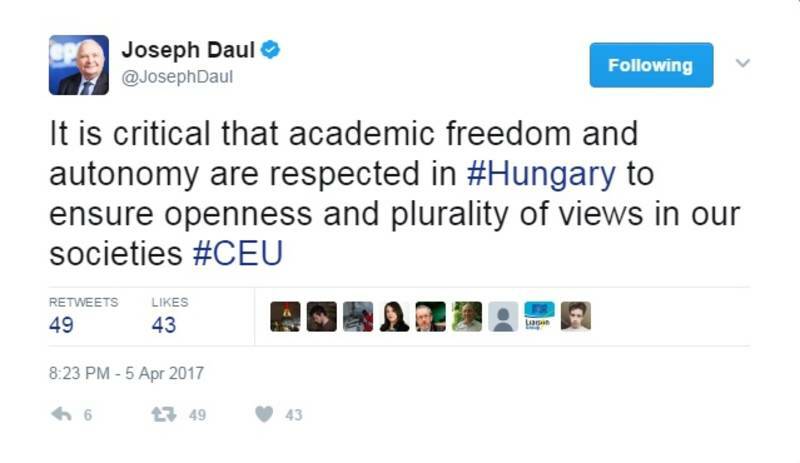 Party leader Joseph Daul (France) wrote on Twitter that it is of critical importance to respect academic freedom and autonomy in Hungary, as this ensures openness and pluralism of views in society. 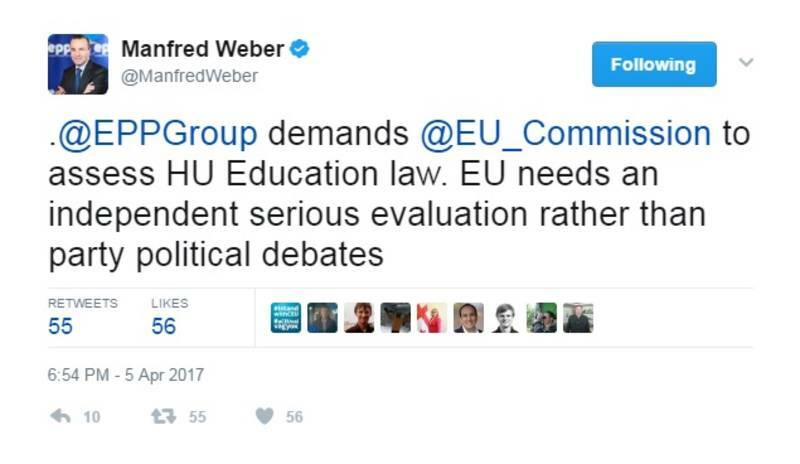 The leader of the EPP group in the European Parliament, Manfred Weber (Germany), demanded the Commission to put the law to scrutiny. Meanwhile, a talk ensued about the expulsion from the EPP of Viktor Orbán’s Fidesz party. The issue will be raised during the EPP summit preceding the European Council on 29 April. There is currently no unanimity in the party on the subject, nor is there any will for this issue to be discussed. 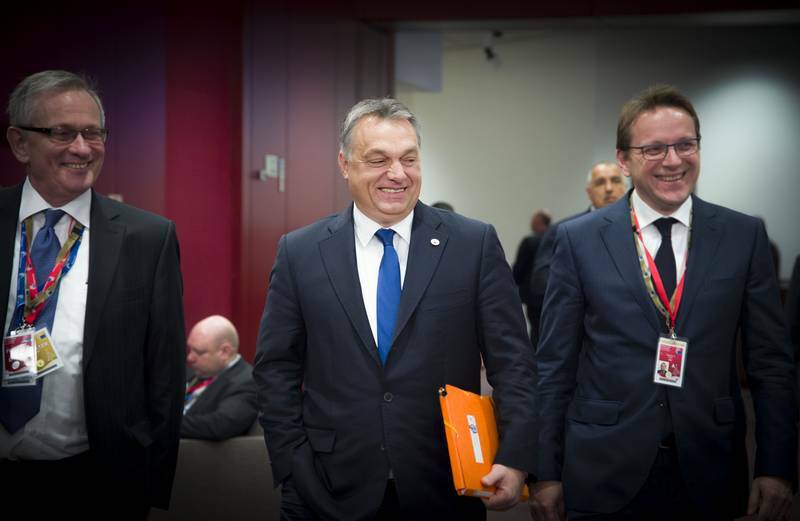 euinside has information that the most critical and demanding the expulsion of Fidesz are the parties from the northern part of the EU - Belgium, Luxembourg, The Netherlands. MEPs from these parties declined euinside’s invitation to comment on this issue. As soon as the EPP gave its blessing, the EC placed the issue on the agenda of the College meeting on 12 April. A long list of transgressions has been subjected to a discussion, ranging from CEU, passing through the European values, respect for human rights, human dignity, tolerance, and solidarity, and moving on to the newly adopted Law on Asylum and to the campaign organised by the Hungarian government under the slogan "Stop Brussels". All this, however, turns out to be insufficient for the European Commission to trigger the rule of law mechanism on Hungary too, since, as European Commission First Vice-President, responsible for the rule of law, Frans Timmermans (The Netherlands, Socialists and Democrats) explained, unlike Poland, the Hungarian government cooperates and is ready to have a dialogue. "The rule of law is a specific mechanism used in the case of Poland, because we see a systemic threat to the rule of law in Poland. Here, with Hungary, we have discussions about very concrete legal matters, infringement cases, disputes, which are certainly not new between the EC and Hungary’s government. But the Hungarian government has always accepted to be engaged in a dialogue with the EC", he said. To the question by a journalist whether there is a risk for the rule of law in Hungary, Mr Timmermans replied that there are political risks. 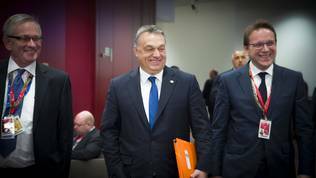 "Orbán signed the declaration of Rome which gives us an indication about the direction of the EU. If he signs the declaration, goes back home and says 'Stop Brussels', I mean, what the heck is going on?! ", asked Frans Timmermans, but insisted there is only going to be a political dialogue. He urged the member states to also assume their responsibility. It is important that Mr Orbán says in what direction he wants to lead his country, said the first vice president. The Hungarian prime minister has already answered this question three years ago. To Justice Commissioner Vĕra Jourová (Czech Republic, ALDE), however, there is a problem with the rule of law. According to her, there are grounds for concern in Hungary, related to the judiciary and its independence. She said this at the presentation this week of the Justice Scoreboard that shows the status of the judicial systems in all member states. Vĕra Jourová also said that she fears that there are efforts being made in Hungary to reduce the power and influence of civil society as such and for the reduction of political pluralism. She did, however, admit that she does not believe any progress can be made with administrative measures against a member state. 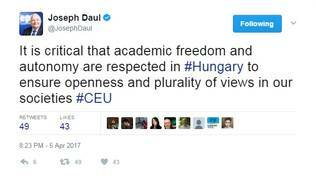 So she welcomed the protests of thousands of Hungarians in support of CEU. "I am happy that people are courageous, open, vocal and visible, and this is what the EC will always encourage the people to do". Frans Timmermans claims that he is not guided by political affiliation when troubled by something, but, still, the coincidence in time between the blessing of the EPP and the reaction of the European Commission is something that cannot be dismissed lightly. Moreover, this difference in approach remains incomprehensible. The fact that the Hungarian prime minister is ready to dialogue should not be a mitigating circumstance. The guiding motive should be whether there is a threat to the rule of law in Hungary or not. It is also incomprehensible because the rule of law mechanism, under which the European Commission has for more than a year now been trying to reason with the Polish authorities, is completely impotent. This is the reason why Frans Timmermans himself transferred the responsibility to the member states, where instead of moving to the next step - a proposal to trigger Article 7 of the TFEU - he called on ministers to discuss the Polish case in the General Affairs Council. 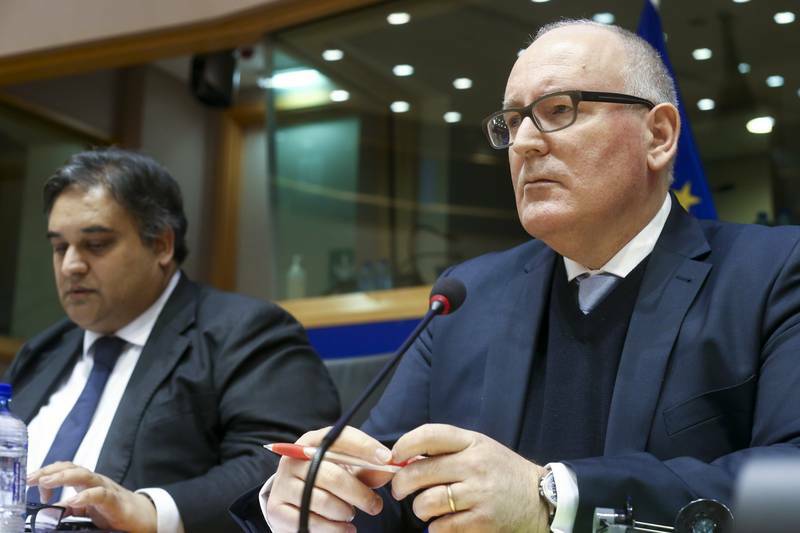 During a hearing in the Civil Liberties, Justice and Home Affairs Committee of the EP on 22 March Mr Timmermans announced that not only is the Polish government failing to comply with the recommendations on problem areas already pointed out by the EC, but there are also new concerns. The situation no longer gravitates only around Poland’s Constitutional Court, but also around the appointment of a Supreme Court Chairman. There is also a judicial reform being prepared, which also worries the EC. “Any justice reform must uphold the rule of law, respect the independence of the judiciary and comply with European standards on judicial independence - the separation of powers is crucial”, was said back then by Jean-Claude Juncker (Luxembourg, EPP)’s first deputy in front of MEPs. He dedicated a sizable portion of his speech to explaining why it is important that the EU fights with everything it’s got for the protection of the rule of law when it is under threat in a member state. “The very functioning of the Union and its internal market is endangered if in one of its member states the fundamental values and particularly rule of law would no longer be respected. [...] The current rule of law crisis undermines trust in the Polish legal system and this could negatively affect the investments rate in Poland”, he said and complained that instead of understanding he only sees a hardening of positions by the Polish side and even an increase of verbal attacks against the EC and its representatives, as well as against the Venice Commission and its members. He therefore proposed that the Council tackles the problem. 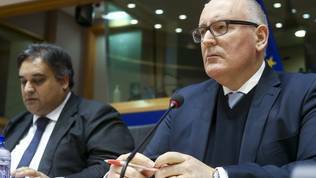 To the persistent questions by committee members of why is he transferring the hot potato to the Council instead activating Article 7 Timmermans explained: “On Art 7 I will try and be very candid about that. Because there are those in the Polish government who say 'Oh, please do invoke Art 7. They will dismiss you immediately and we will be done with it'. And this is exactly my fear. Given the limitations in terms of the possibility we have as a Commission, we need the member states if we really want this to function”. In order to trigger Article 7, which suspends the voting rights in the Council of a member state, it is necessary any proposal to that end to be supported by all member states. Hungary has already stated it will vote against. It is not clear what the result will be of a possible discussion in the Council, especially that it is uncertain whether it will take place at all. At this stage, the Maltese presidency has not included the subject in the agenda of the General Affairs Council in April, and the May programme is not ready yet. The theme is very toxic because, if raised at Council level, it would block the Union for a very long time and that in a year when many important decisions are expected, such as on the White paper of Jean-Claude Juncker on the future of the Union. 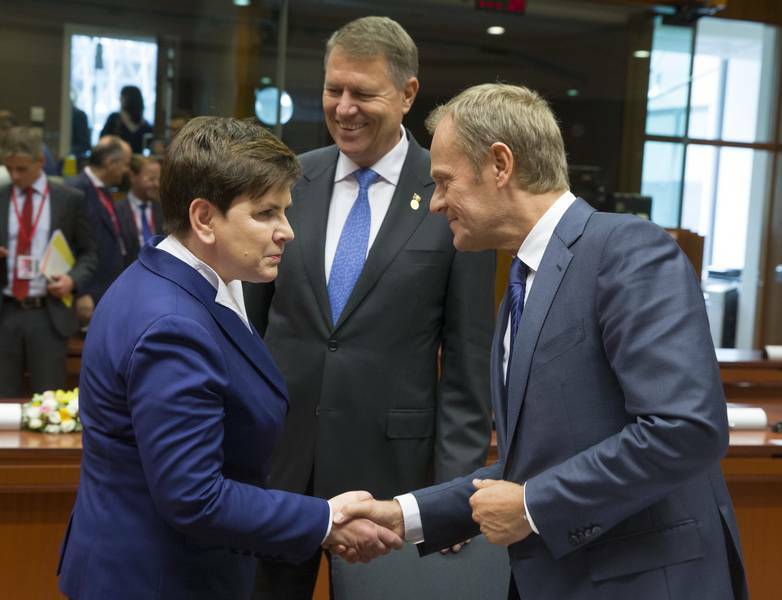 And the fiasco surrounding the reappointment of Donald Tusk as president of the European Council showed that the Polish government is prepared to do anything for its political survival. During the spring EU summit in early March, Poland fought against the nomination of Donald Tusk and proposed another candidate. Member states, however, were unanimous in their desire to show Warsaw that it cannot hold the Union hostage to its domestic politics. 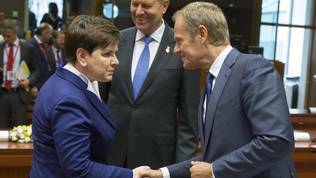 Donald Tusk was re-elected and Polish PM Beata Szydło refused to sign the conclusions of the European Council in return. Later, during the preparation for celebrating the 60th anniversary of the Treaties of Rome Mrs Szydło threatened not to sign the Rome Declaration as well. It did not come to that, but it showed clearly that the ruling party in Poland is really prepared to do anything. According to euinside sources, chances for the topic of rule of law in Poland to come for discussion in the General Affairs Council are miniscule. This may be raised during the annual review of the rule of law in EU, but it would not have the same force and effect. Having his hands tied so, Frans Timmermans was left with no alternative but to admit that illiberalism is indeed a political factor and is present in many of the EU member states. He did not, however, take the next step of naming them. Instead, he described the reality after the major EU enlargement towards Eastern Europe: “I come from the part of Europe that thought enlargement means that they all will become like us. No, enlargement means that we're all involved in a different world. I believe that, indeed, a vision of an open society, diverse society is at threat. Illiberalism is there. It's an important political factor in many of our member states, not just in Europe, also outside of Europe but it will not carry the day”, said the deputy leader of the EC. Having in mind the limited possibilities for restraining it, it is by no means certain that it will not carry the day. The question that member states must answer, and soon at that, is whether it is worthwhile to keep the unity of the EU even at the cost of a growing illiberalism. This question will be answered on April 29, when the EPP will show if it really believes in European values ​​by making a decision on whether to expel Viktor Orbán’s party. If that happens, the way would be cleared for a discussion of the topic in the Council. If this discussion ends without an agreement and with even greater tension from Poland's and Hungary's side, this would lead to a serious rift and will surely be reflected in the discussions on the next multiannual EU budget, which are expected to begin next year.